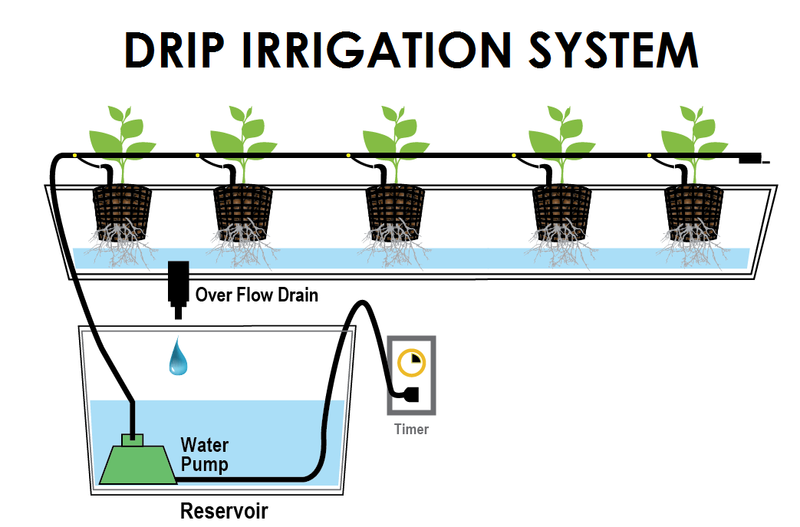 Drip irrigation system is one of the most efficient ways to deliver water to the plants in your landscape. 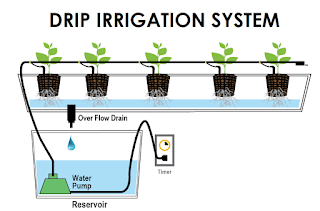 The emitters used in a drip system slowly distribute water over a long period of time. This allows the water to soak in to the root zone eliminating the run off, misting and evaporation that waste water with traditional sprinkler systems. The end result is a healthier landscape and a smaller water bill. Today we are going to go over the basic step by step how installation process for a drip irrigation system used in the southwest. We'll also give you some tips along the way that will help you complete the job successfully. The best way to ensure a successful job is to start with a good plan. A scale drawing of the site will help you determine the plant location and irrigation zones as well as the amount and type of materials needed. The plan will also help you determine if there are any obstacles like walls and sidewalks that might require the addition of a sleeve. When creating zones, you'll want to consider the water needs of the plants being used. For example, trees, shrubs and flowers may require different amounts of water to be applied at different times. Separating plants by their plant water requirement will help you irrigate more accurately and efficiently. Once you have your job planned out, you can begin trenching the mainline, which runs from the water source to the valve manifold. You can also dig the hole for the valve box and begin trenching for your lateral lines. Remember to call 811 to have the utilities marked prior to any digging and be sure to plan ahead as this may take 2 to 3 days to complete. The trench is for your lateral line should be 6 to 8 inches deep. If you need to run lines under a sidewalk or a driveway, you may need to install a sleeve. You can make the hole for the sleeve using a water jet. The size of the sleeve will depend on the number and size of the lines running through it. The next step in the process is to install the backflow preventer. If the property already has a black flow this would be a good time to have it tested. The purpose of the black flow device is to prevent irrigation water from contaminating the drinking water supply. Check to see what type of black flow device meets code in your area. Many states require that you use a specific type of black flow preventer and that it be installed at least 12 inches above the highest emission point. Turn off the water supply at the meter if necessary and install the black flow preventer on the main supply line between the water meter and the house. Newer homes usually have a stub out where the supply line enters the house. This is where the back flow preventer is typically soldered in. Tapping in before the main shut off valve will allow you to turn off the water supply to the house without interrupting the watering of the landscape. With the vales on the back flow preventer turned off, turn on the water supply at the meter and check your solder connections for leaks. With the black flow installed you can begin assembling the valve manifold. The valve manifold is simply the collection of ball valves and accessories that will be used to independently irrigate each zone in your landscape. Since this is a drip system, you'll be installing a valve, Y-filter and pressure regulator in that order. The entire manifold should fit into a valve box, so be sure to measure carefully. When installing the Y-filter, the flush cap should face down, this will allow debris and sediment to settle near the flush cap for later clean out. Once you have assembled the manifold, you can connect it to the mainline coming from the backflow preventer. You can use scrap pieces of PVC pipe to help hold the manifold in place while the PVC cement dries. With each of the irrigation valves closed, open the ball valves on the backflow preventer and check your manifold for leaks. Now you are ready to begin with the installation of your laterals. Most residential projects are installed with poly laterals to help you distinguish between your hydro zones, it's a good idea to use tubing with different colored stripes or to mark each line with a different color. This will make it easier to identify which line to tap into when you install your emitters. Poly tubing uses either barbed or compression fittings, no glue is required. At the pressure regulator, a male adapter with the compression fitting is used to connect the poly tubing to the drip valve assembly. Keep in mind that your lateral line should not exceed run lengths of 300 feet. Fittings like tees and elbows are used to branch off in different directions. End caps terminate each lateral line and give you a way to flush your lines. Install end caps in a small valve box to make them easier to locate for future maintenance. Once the poly laterals have been installed and with the end caps open, flush out each zone by manually opening the corresponding valve. Let it run long enough to flush out any debris. When finished replace the end caps and run each valve again to check for leaks. Now you are ready to put in the new plant material and install the emitters that will deliver water directly where it is needed. It's always a good idea to use pressure compensating emitters. This will ensure that variances in pressure will not affect the output of emitters of the same size. Refer back to your plan to determine emitter requirements for each plant as well as which lateral line to connect to. There are different methods for the installation of the emitters. One is to use a 1/4 inch barb connector to taps the spaghetti tubing to the lateral line with the emitter on the opposite end near the plant. The other installation technique connects the barb emitter directly to the lateral line running the spaghetti tubing to the plant. In either case, spaghetti tubing run should not exceed 5 to 10 feet. If you choose the second installation method, use a bug cap to prevent insects and debris from getting into the end of the tubing. With all of your emitters installed, manually bleed each valve to make sure that everything is working properly. Once confirmed, you can backfill the trenches and move on to the installation and programming of the controller. Whether you are installing a new controller or using an existing one, it's best to run new wire to the valves. At the valve manifold, connect wires to each solenoid using water tight connectors. For maintenance purposes, leave some slack in the wire and coil it up to keep it out of the way. Note the color of the wire used for each zone. This will help you distinguish between zones when connecting the valve wires to the controller. We recommend the use of a controller with multiple programs to satisfy the water required for each individual hydro zone. Finally test each zone from the controller to make sure that the solenoids are working and wired correctly. While there is much to consider when planning the installation of a drip system, as you've seen the actual installation process is pretty straight forward. 0 Response to "Step by Step How to install a Drip Irrigation System"